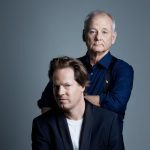 The Sydney Opera House today announced that the legendary actor and comedian Bill Murray will make his Concert Hall debut in November, performing with acclaimed German-American cellist Jan Vogler & Friends in a magnificent collision of American greats and European classics. The show, New Worlds, follows Murray and Vogler’s 2017 Decca release of the same name, which blends classical music (Ravel, Schubert, Saint-Saëns and Bach) with spoken word excerpts from American writers (Twain, Hemingway and Whitman) and classics from the American songbook, including Gershwin, Bernstein and Foster. The album and show owe their existence to a chance meeting in an airport security line. Murray and Vogler bonded over the unwieldy size of Vogler’s cello and a mutual love of the American greats. 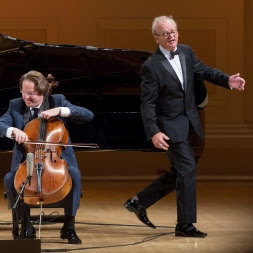 The ensemble also features Vogler’s wife, renowned Chinese-American violinist Mira Wang, and Venezuelan-American pianist Vanessa Perez accompanying Murray, as singer and narrator, and Vogler on cello. Over forty years, Murray has forged one of the most independent careers in Hollywood, weaving comedy and depth into some of the most memorable roles in cinema. With his comedic timing, deadpan performance and soulful rasp, he’s covered artists like Bob Dylan (St. Vincent), Roxy Music (Lost in Translation) and even the Star Wars theme (Saturday Night Live). His soulful performance of “The Bare Necessities” as Baloo in The Jungle Book is one of his most memorable. Vogler’s distinguished career has pushed the boundaries of classical music. He has performed with many of America’s greatest orchestras including the New York Philharmonic, Chicago Symphony Orchestra, Boston Symphony Orchestra as well as being the youngest player to hold the position of principal cello in the history of the Staatskapelle Dresden.